F Adam Hughesman (Tri-City, 2006-12) has signed a one-year contract with Bordeaux (France, Ligue Magnus). This season, with Orli Znojmo (Czech Republic, Erste Bank Liga), he had 15 goals and nine assists in 49 games. . . . The head coach of Bordeaux is former St. Louis Blues F Philippe Bozon, father of F Tim Bozon (Kamloops, Kootenay, 2011-15). . . .
D Lukáš Bohunický (Kootenay, 2005-07) has signed a one-year extension with Dukla Trenčín (Slovakia, Extraliga). This season, he had three goals and five assists in 55 games. . . .
F Denis Tolpeko (Seattle, Regina, 2003-06) has signed a one-year extension with Spartak Moscow (Russia, KHL). This season he started with Sochi (Russia, KHL), scoring two goals and five assists in 31 games. He was released on Dec. 20 and signed with Spartak on Dec. 21. He had two goals and an assist in 15 games with Spartak. . . .
F Richard Rapáč (Moose Jaw, Prince George, 2006-07) has signed a one-year contract with Poprad (Slovakia, Extraliga). This season, with Zug Academy (Switzerland, NL B), he had eight goals and a team-high 16 assists in 39 games. He also was pointless in one game with Zug (NL A). . . .
F Matt Ellison (Red Deer, 2002-03) has signed a two-year contract with Metallurg Magnitogorsk (Russia, KHL). This season, with Dinamo Minsk (Belarus, KHL), he had 16 goals and 33 assists in 54 games. He led the team in scoring. Ellison had one year left on his contract with Dinamo Minsk but asked for his release and it was granted on June 2. . . .
F Radovan Bondra (Vancouver, Prince George, 2015-17) has signed a one-year contract with Slovan Bratislava (Slovakia, KHL). This season, with Vancouver, he had 19 goals and 12 assists in 32 games, then put up 13 goals and 19 assists with Prince George. He finished the season with the AHL’s Rockford IceHogs, going pointless in five games. 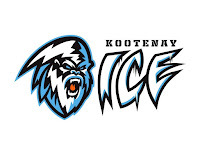 Jon Klemm, a former NHL defenceman who is from Cranbrook, B.C., has joined the Kootenay Ice as associate coach. James Patrick, who was named the Ice’s head coach on Tuesday, made the announcement Wednesday morning. The Ice also announced that assistant coaches Gordon Burnett and Roman Vopat will be returning, while they have added Denis Sproxton as goaltending coach. Klemm, 47, was an assistant coach with the Spokane Chiefs for three seasons (2009-12). Klemm also played in the WHL with the Seattle Thunderbirds and Spokane (1987-91) before going on to a pro career that included 773 NHL games split between the Quebec Nordiques, Colorado Avalanche, Chicago Blackhawks, Dallas Stars and Los Angeles Kings. He won a Memorial Cup with the Chiefs in 1991 and Stanley Cups with the Avalanche in 1996 and 2001. Klemm retired after playing the 2008-09 season with the Straubing Tigers of Germany’s DEL. In recent years, Klemm has been coaching minor hockey in the Dallas area. Burnett, 36, is preparing for his third season with the Ice, while Vopat just completed his first season there. Prior to that, Vopat was on staff with the Prince George Cougars for two seasons. Sproxton, 46, has served as a goaltending consultant with Hockey Canada, Hockey Alberta and the Chiefs. Sproxton played four seasons in the WHL (Prince Albert, Swift Current, 1987-91). He was the Spokane Chiefs’ goaltending coach (2003-11) and won a Memorial Cup there in 2008. The Ice also added Jake Heisinger to its staff as manager of hockey operations and player experience. Heisinger has a degree in business management from Curry College in Boston. He is the son of Craig Heisinger, the assistant GM and director of hockey operations with the NHL’s Winnipeg Jets. 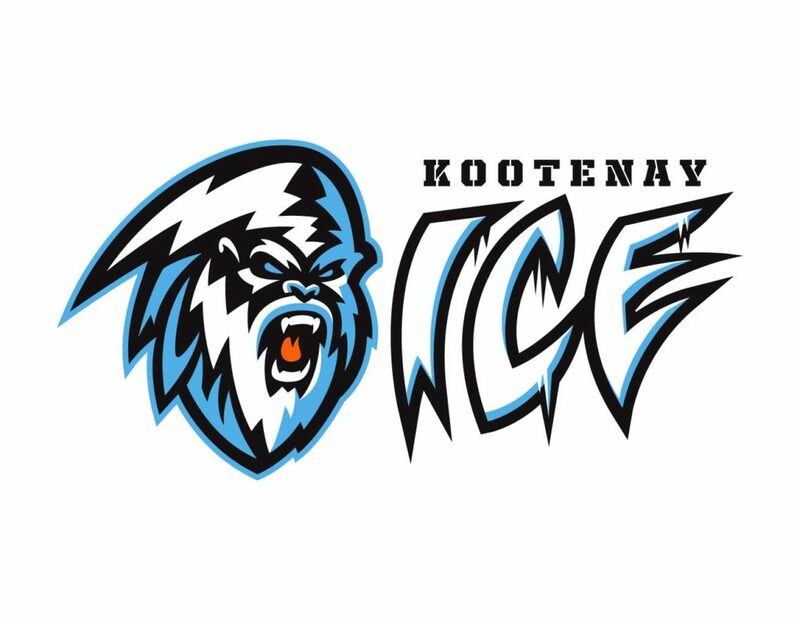 The Ice also announced that director of scouting Garnet Kazuik, trainer/ equipment manager Darcy Ewanchuk, and athletic consultant Cory Cameron all will be returning. The Prince George Cougars have lost another 20-year-old from their roster with the news, as reported above in The MacBeth Report, that F Radovan Bondra has signed a one-year deal with Slovan Bratislava, a Slovakian team that plays in the KHL. . . . Bondra, who is from Trebisov, Slovakia, was a fifth-round selection by the Chicago Blackhawks in the NHL’s 2015 draft. . . . Bondra started this season with the Vancouver Giants, then was traded to the Prince George Cougars for F Bartek Bison, F Tyler Ho and a third-round pick in the 2018 WHL bantam draft. . . . With Bondra gone, the Cougars still have nine 20s on their roster — F Jared Bethune, F Aaron Boyd, D Shane Collins, F Brodan O’Brien, F Jesse Gabrielle, D Brendan Guhle, F Jansen Harkins, D Tate Olson and F Tanner Wishnowski. Gabrielle (Boston Bruins), Guhle (Buffalo Sabres) and Harkins (Winnipeg Jets) have signed NHL contracts. Steve Konowalchuk, the head coach of the WHL-champion Seattle Thunderbirds, will throw out the ceremonial first pitch on Saturday evening before the Seattle Mariners face the visiting Toronto Blue Jays at Safeco Field. . . . It’s all part of an evening during which the Mariners will honour the WHL champions, who won the Ed Chynoweth Cup with a 4-3 OT victory over the host Regina Pats in Game 6 of the final series. The Medicine Hat Tigers have signed F Corson Hopwo to a WHL contract. He was a seventh-round selection in the 2016 bantam draft. From Victoria, he played this season at the Delta Hockey Academy, putting up 19 goals and 25 assists in 30 games with the Elite 15s. Rob Sklaruk is the new general manager of the Spruce Grove Saints, who are under new ownership. Team president Ryan Smyth made the announcement on Wednesday. Sklaruk has lived in the area for 25 years and for the past five seasons has been president, GM and assistant coach for the senior AAA Stony Plain Eagles. He also is a former Eagles player. Saturday and Sunday as they hold a prospects camp. However, F Massimo Rizzo, a first-round selection in the 2016 bantam draft, won’t be there. The 14th overall pick in that draft, Rizzo is vacationing with family in Italy after finishing this season with the BCHL’s Penticton Vees. . . . The 13 players selected ahead of Rizzo in that draft all have signed WHL deals. . . . Kamloops This Week reports that the Blazers expect to meet with the Rizzo family “at the end of the month to discuss Massimo’s future.” . . . Rizzo, who will turn 16 on June 13, had 53 points, including 12 goals, in 28 games with the Burnaby Winter Club’s prep team this season. He was pointless in three regular-season games with the Vees and had one goal in seven playoff games. In the Western Canada Cup, he put up a goal and four assists in six games, then added one goal in five games at the RBC Cup. The Blazers expect to have F Josh Pillar, the 14th overall selection in the 2017 bantam draft, at their prospects camp, although he hasn’t yet committed to them. All told, eight of the WHL’s 22 first-round picks have yet to sign. A few days ago, Patrick Conway, who keeps close tabs on the KHL, took a look at the coaches of the Bobrov Division. This week, he checks out the men behind the benches in the Tarasov Division, and it’s all right here. Two of the head coaches who appeared in the Memorial Cup and have WHL ties moved into the pro ranks on Wednesday, Kris Knoblauch with the Philadelphia Flyers and Rocky Thompson with the Chicago Wolves, the AHL affiliate of the NHL expansion Vegas Golden Knights. Knoblauch, 38, signed on as an assistant coach with the Flyers after spending the past five seasons as the head coach of the Erie Otters, who won this season’s OHL playoff championship. Knoblauch, who is from Imperial, Sask., took over as head coach during 2012-13. In each of his four full seasons as head coach, the Otters won at least 50 games, marking the first time in OHL history that a team posted more than three straight 50-win seasons. He played in the WHL (Red Deer, Edmonton/Kootenay, Lethbridge, 1996-99) and was the Ice’s head coach for two seasons (2010-12), winning the 2011 WHL championship. Thompson, meanwhile, is the new head coach of the Chicago Wolves. The Golden Knights have taken over the Wolves from the NHL’s St. Louis Blues. Craig Berube, the Wolves’ head coach this season, is expected to end up on the Blues’ staff. Thompson, 39, guided the OHL’s Windsor Spitfires, as host team, to the Memorial Cup title, beating the Otters, 4-3, in the championship game. Thompson, from Calgary, spent two seasons with the Spitfires. As a player, he spent four seasons in the WHL (Medicine Hat, Swift Current, 1993-97). He began his coaching career in the WHL as an assistant coach with the Edmonton Oil Kings (2007-10), before moving on to the AHL’s Oklahoma City Barons. He spent one season on staff with the NHL’s Edmonton Oilers, then took over the Spitfires’ bench. Former WHL D Nolan Baumgartner has joined the NHL’s Vancouver Canucks as an assistant coach with head coach Travis Green. Baumgartner had been an assistant coach with the AHL’s Utica Comets, where Green was the head coach before being moved up to the Canucks as head coach. . . . Baumgartner, 41, is from Calgary. He played four seasons with the Kamloops Blazers (1992-96) and was on two Memorial Cup-championships teams (1994, 1995). . . . He twice was named the WHL’s top defenceman and once was the CHL’s top defenceman. . . . The Canucks also announced that Green’s other assistant coaches would be Newell Brown, Doug Jarvis and Manny Malhotra. . . . Also returning are skills coach Glenn Carnegie and video coach Ben Cooper, who is a former Victoria Royals assistant coach (2011-13). The ECHL’s Tulsa Oilers have hired Rob Murray as their director of hockey operations and head coach. Murray, 50, spent the previous six seasons as head coach of the ECHL’s Alaska Aces, who have ceased operations. Murray has been coaching since 2003 when he was an assistant with the AHL’s Providence Bruins. In Tulsa, Murray replaces Jason Christie, who left the team after their season ended.